The Bettine…one of the latest pattern releases from Tilly and the Buttons. 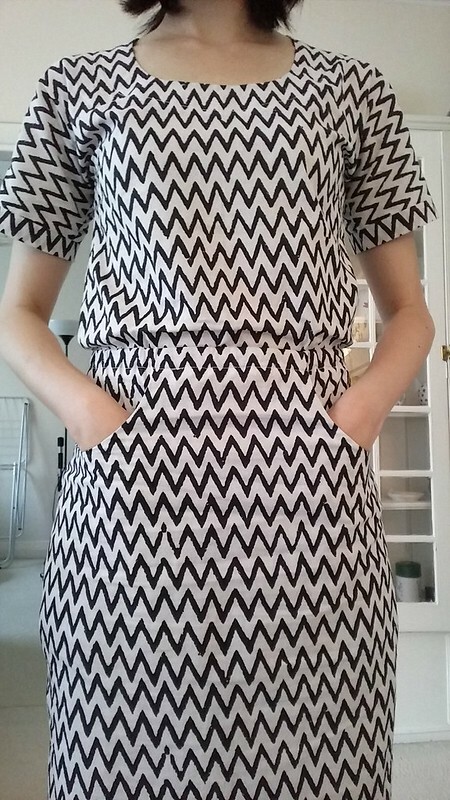 I really liked the Bettine from the moment I saw it because it was simple, didn’t have zips (yay!) and had pockets. I also love kimono sleeves, and the neckline is a great scoop neck which is interesting but not too low. Looking at the shape of the skirt, I knew I’d need to make the hip silhouette less pronounced. 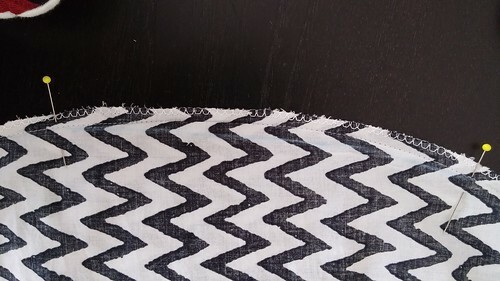 I kept the hip line where it was for the size I cut, but graded the line after the hip out a bit so the bottom half of the skirt was wider and longer. I just wanted to see what the silhouette would look like as the pattern was drafted. The top part of the dress was quick and easy to sew up. 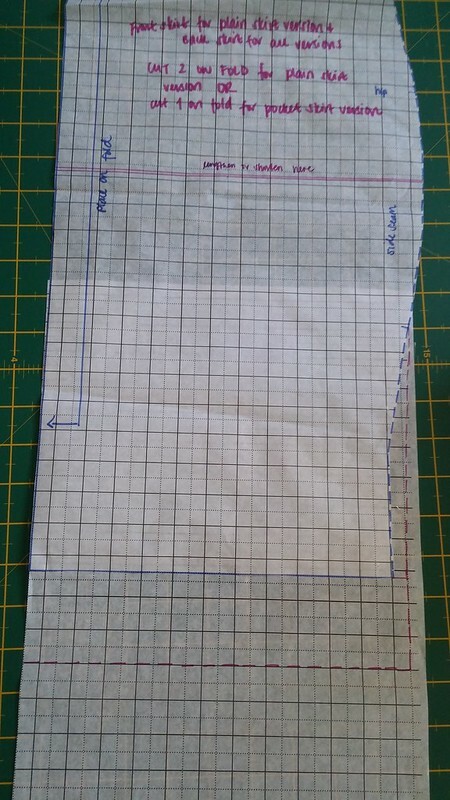 I like that the facings are topstitched down because facings tend to be the bane of my existence, particularly when ironing after a wash! I think it really accentuates the shape of the neckline as well. 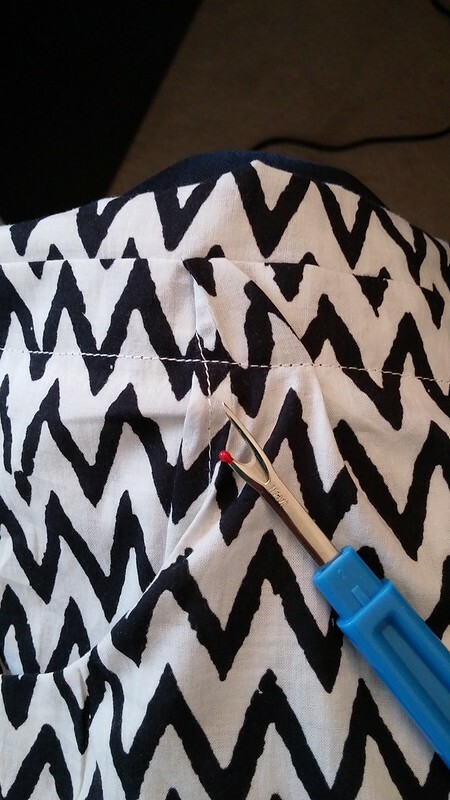 When sewing down the casing for the elastic, one of the pockets got caught so I ended up having to unpick it. Slightly annoying, but it wasn’t too difficult to fix thankfully. 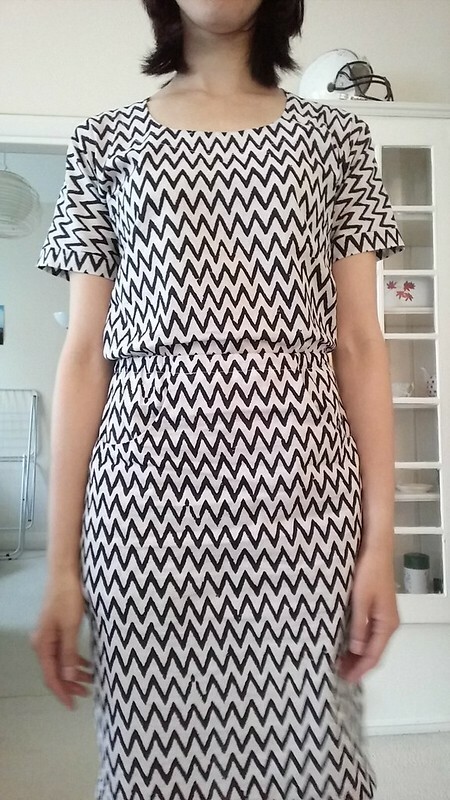 After trying on the dress (pre-hemming) I noticed that the hip lines were still a bit too pronounced for my liking. So, I eyeballed a line to grade down the hips. It ended up working perfectly! 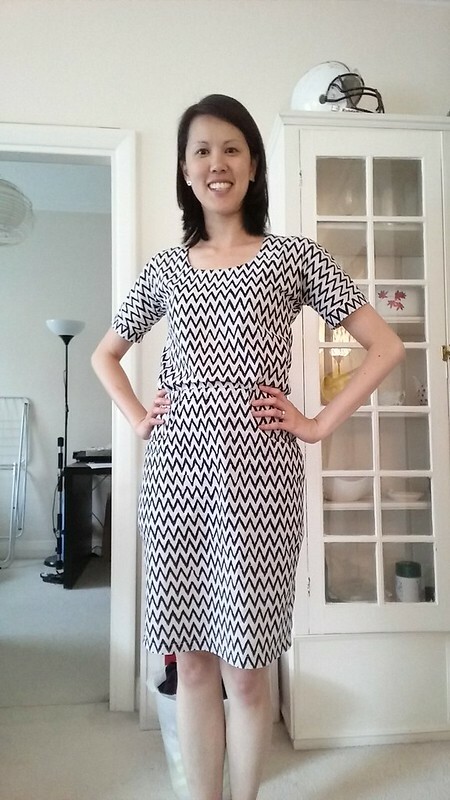 I’m super happy with my completed Bettine, and have already modified the pattern and finished a second version!! I’ve since worn this dress twice (in 1 week) and LOVE it. The pockets are so functional and useful, and the shape is flattering. I like the blousey top and the comfort of elastic. I’m heading on holiday to Dubai and Asia next month and will be bringing Bettine(s) along for sure. 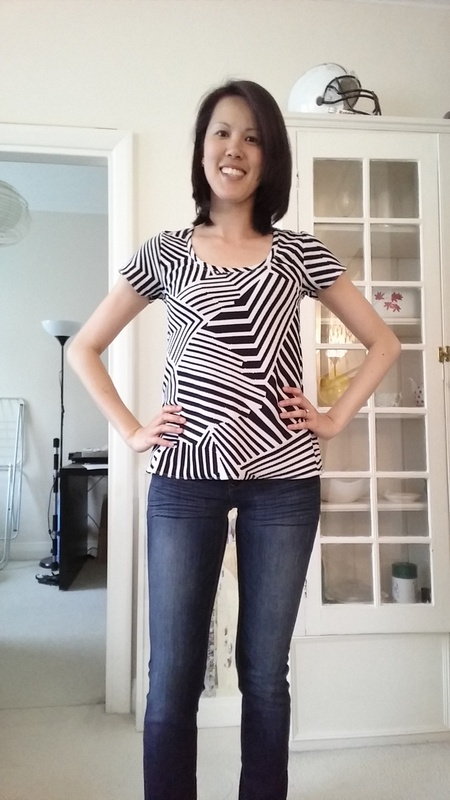 I’ve been so behind in my blogging of completed clothes! I guess in a way, it’s a good thing since I can then see whether or not I’m enjoying wearing what I’ve completed. 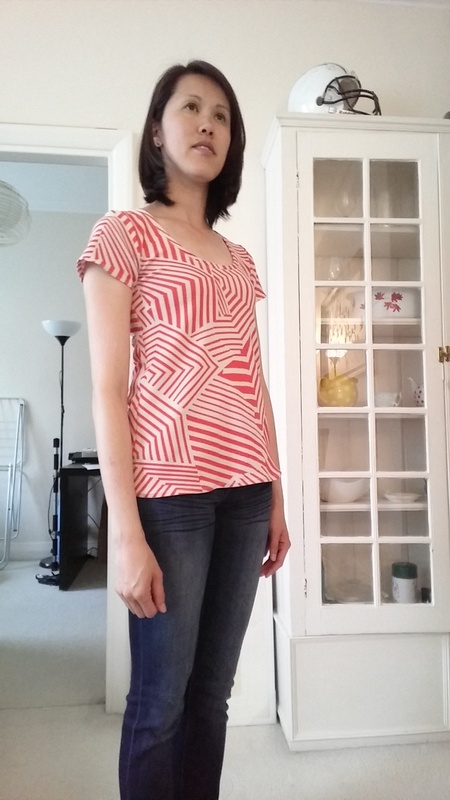 I generally dislike taking pictures of myself, which makes it difficult to show what I’ve been sewing. That has been the key thing keeping me back from blogging my completed projects. 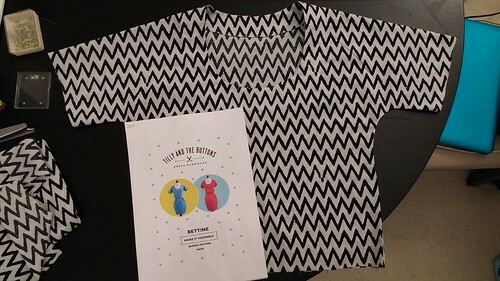 Deer & Doe’s (FREE) t-shirt pattern is the Plantain. It’s been released for a while now, but I’ve only just jumped on the bandwagon. I’ve been making a lot of woven tops lately, but realised that when I went to go reach for something to throw on to run errands or pop out, I wouldn’t automatically go for a women. My go-to shirts are normally jersey because they don’t wrinkle (easily), they’re comfortable to just slip on and wear. 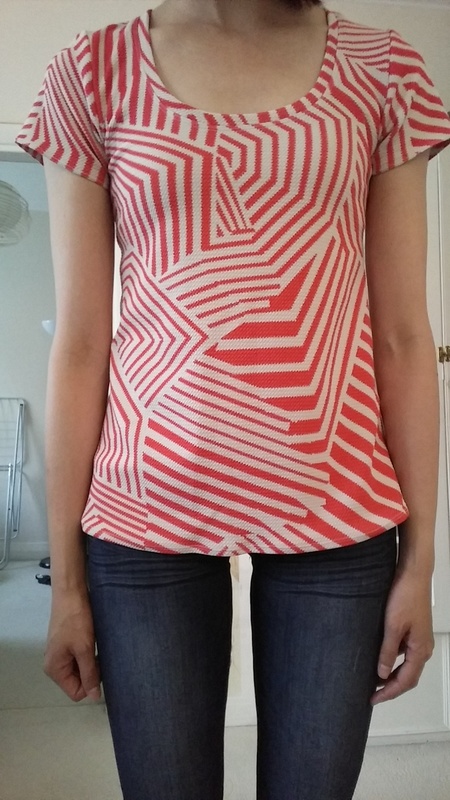 Noticing a gap in my me-made clothing (gasp!) I decided to try out some short sleeved plantains. I’m really pleased with how it turned out. 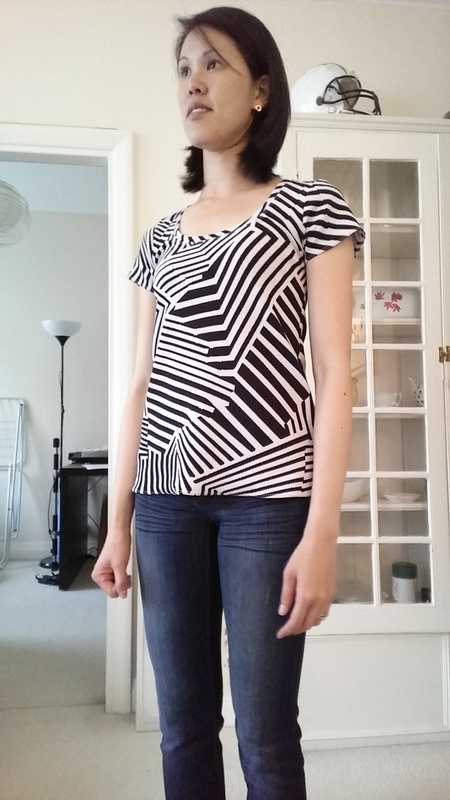 I didn’t need to make any adjustments and I just find that the shaping and fit is really flattering. These two are my first makes. The fabric for both was from Walthamstow Market and I love how jazzy they are. I bought them from The Textile Centre and it looks like they have more in their ebay store. White/Black and Cream/Coral. I really love the texture of the jersey. It’s unique, and I like the geometric patterns as well. So far, I’ve really loved wearing these, and they’re really comfortable! I most recently made up the plaintain in a blue ponti roma from Abakhan Fabrics. 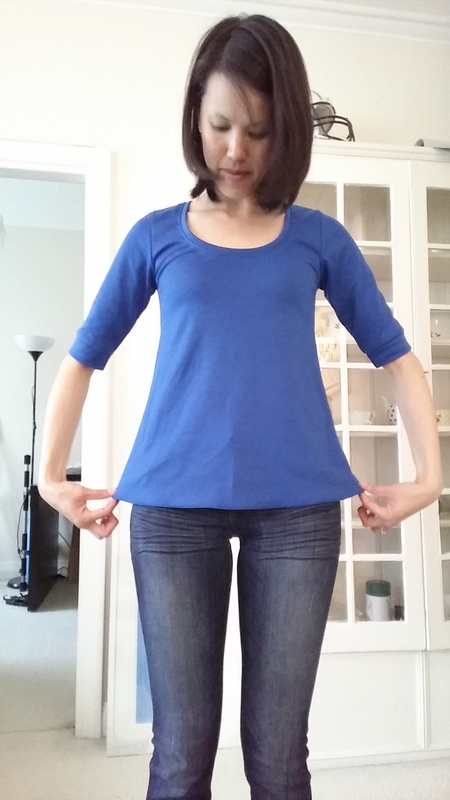 It’s a really nice royal blue and I made the sleeves slightly longer and added cuffs.